Do you find your website users complaining about it being sluggish at times? Does performance degrade when traffic is high? How certain are you that a new feature or build isn’t responsible for your laggy site? These are questions best answered through load testing. Load testing is a branch of software performance testing. It involves subjecting a website to simulated workloads that stretch its specified operational capacity to its limits in order to assess its performance. A slow and vulnerable site can affect your search visibility, user experience, and conversion rate — all of which can negatively impact your revenue. 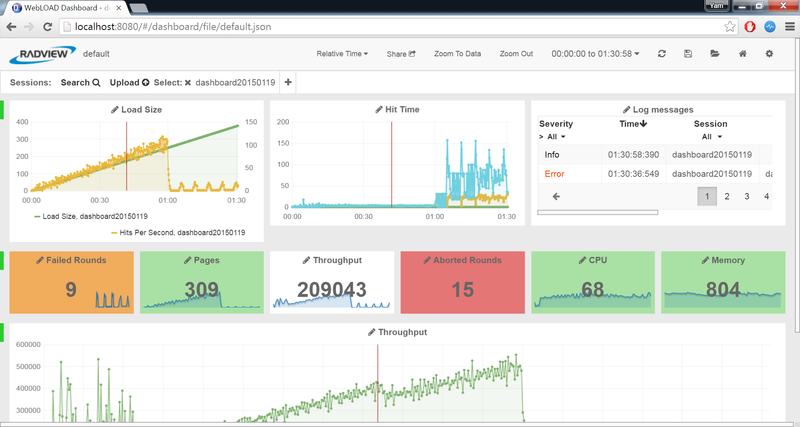 In this article, I’m going to explain the advantages, goals, and metrics of load testing, and then give you 6 tools and 9 tips to try. 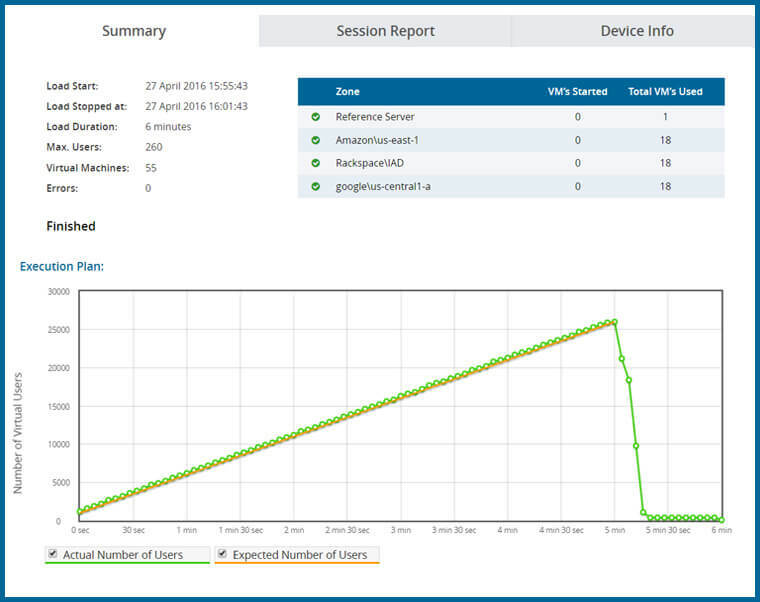 Prevent downtime with analysis. It helps you run various scenarios mimicking real-world usage to gain different insights on your users’ behavior and website performance. This is an accurate and quantifiable way to discover new methods to add value to your website and improve your business. Save money long-term. Although a load test can lead you incur costs it helps you save money in the long run by uncovering emerging problems that you can fix for much less. It also helps maximize your website’s efficiency which saves you from over spending on maintenance. It is important to note that you need to differentiate between goals behind load testing and the means by which you arrive at load testing. Throughput: How much bandwidth a website uses up while conducting the test. It indicates the amount of data sent and received from the servers. Error rate: How frequently errors occur when a website is processing requests and at what stage they do occur. Response time: How long a website takes to respond during the highest levels of activity (peak time) and as measured over a period of time (average time). There are two general approaches one can use when carrying out a load test. This measures the capacity of the system to handle a specific work load that simulates the average amount that a live user handles over an extended period of time. A baseline defining what the optimum work efficiency ought to be is used as a reference point. It is also referred to as endurance testing and is used to check for errors in the system that occur after a sustained period of use. This measures the capacity of the system to handle large volumes of data in a limited period of time. Subjecting the system to an increasing volume of work helps to assess whether it can competently handle the quantity set out by its developers. 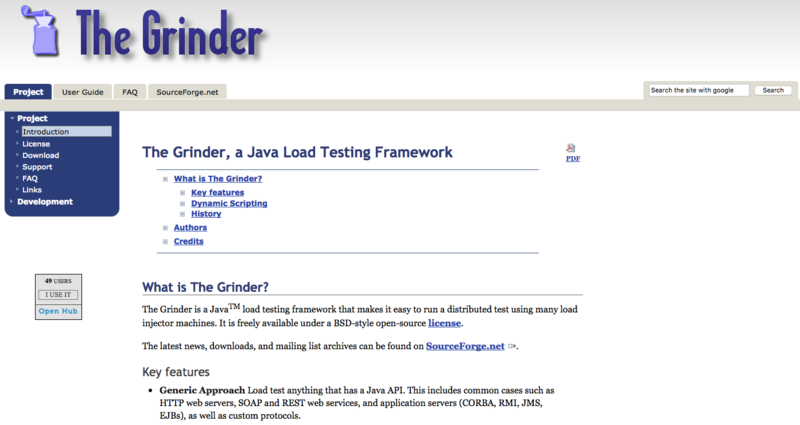 The Grinder is a free, JAVA-based load testing tool. It creates the load by using load generators, also known as agents, that handle many workers. It is compatible with a BSD-style open source license. It has flexibility in creating parameters. It also has the capacity to handle various protocols. A console is the central interface through which editing is done and tests are developed. The console is a GUI application by nature that facilitates monitoring of real time results via the several Grinder agents it controls. It has TCP proxy and can handle distributed testing. It provides complete access to the information generated after a test for verification and analytical purposes. WebLOAD is a licensed tool with a free version used in testing large-scale loads. It has capacity to handle complex scenarios and the load itself can be generated through the cloud or on-site. It’s used when testing any web and mobile application or API that deploys Adobe Flex, Oracle Forms, HTML5, Ajax, .NET and others. LoadView is a paid tool whose unique feature is that it tests in real browsers making it more precise as it can more accurately mimic real-world user behavior. It is cloud-based and as a result has the ability to deliver a large scale, distributed load test.It also provides point and click scripting. While it’s not an open source option there is a free trial feature. 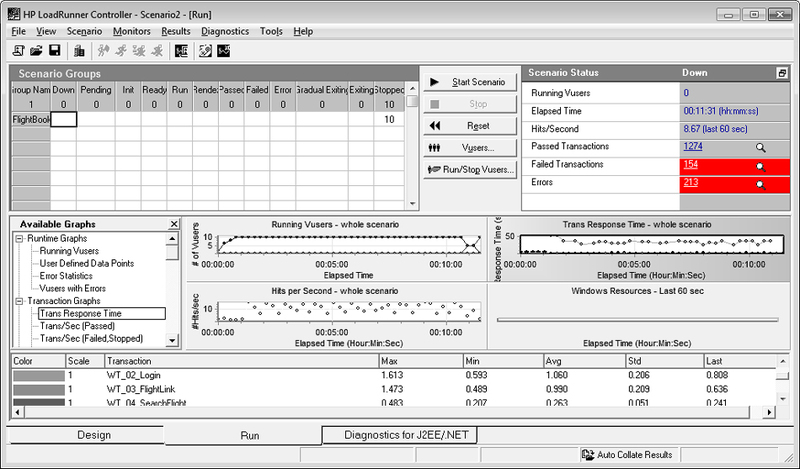 JMeter is an open source tool that manages multiple load injectors using a single controller. It supports a variety of protocols that include JAVA-based ones. It has a user-friendly GUI which requires less scripting. It can be loaded onto a network or server to assess its performance under various types of loads. One common use for it is to automatically uncover any bottlenecks in its early stage of development. This helps you resolve it before the users encounter it. 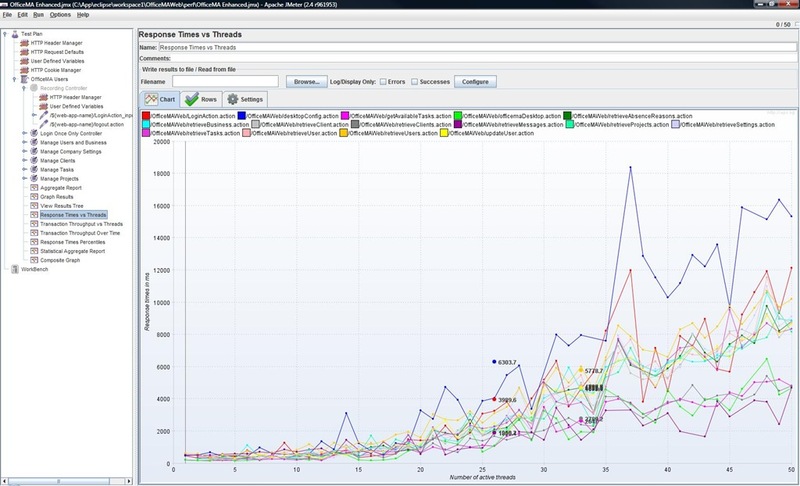 LoadRunner’s unique advantage as a load testing tool is that it enables you to simultaneously create and manage thousands of users. It consists of several tools namely Virtual User Generator, Load Generator and Analysis and Controller. It creates a scenario that contains the script to be executed while generating the required number of virtual users. It factors in other specified parameters and generates results. A developer is able to get all the information relating to the infrastructure and performance. It is a paid tool. The value of regular load tests to consistently gauge your system’s capacity is indispensable. Institute a testing calendar that enables you to receive feedback without going for too long. A recommended period would be two weeks between every test. You will be able to adequately study the results in depth, meaningfully iterate and coordinate for the next test. Such a practice will help you uncover bottlenecks that you can then address before your users get affected by them. Your website will be consistently performing above average as a result. Aim to use real browsers as much as possible to generate more accurate results as they better mimic real-world users as compared to virtual browsers. If need be you can add virtual browsers to reach your target. A load test is only as good as the information it delivers when compared to a relevant baseline. Look at what your competitors are doing to help you determine what an accurate and realistic benchmark should be. The closer it is to real-world situations the better the insights you will glean. 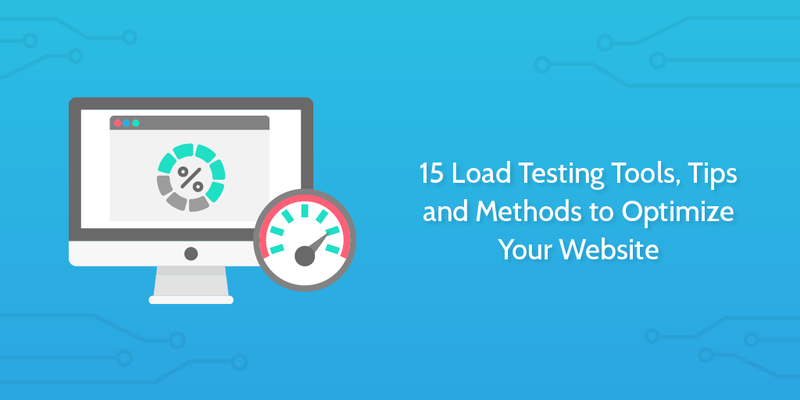 A well-executed load test can deliver high quality insights that significantly impact your website in a meaningful way. Assign specific tasks to a relevant team member and let them know that they are in charge of delivering on it. Coordinate the who-does-what during a test to foster collaboration. The result will be a test that encounters minimal barriers to its smooth operation. Consider a self-service solution if you have a complete team and a full-service tool if you can’t constitute a big enough team. A well-timed load test is one that is executed when the website is at its busiest. Study your analytics over the last 12 months to pinpoint when traffic is at its highest point. When testing, aim to go around 20 percent higher than your peak traffic volume to ensure that the website can handle its greatest number of users without significant problems. Maintain a record of all the results generated from each test in a system that is easy for all team members to access. It will help narrow down any bottlenecks that crop up to find the root causes without talking too long. Always monitor your overall infrastructure and servers to stay on top of any emergent issues. Ensure that you match up the results of a specific test to its timeline. Cross reference all the resulting timelines and test results to look at the complete picture when analyzing insights. This will give you a well-rounded understanding of any problematic areas than if you individually analyzed the tests for insights in isolation. The best way to find out how the website performs at different load levels is to start small and keep increasing with every test. Compare the metrics you are interested in with every increase in the number of users to gain insight. Cutting down on operational costs is admirable for a business but not when it affects the quality of services provided. Avoid using the price of a tool as a determinant in whether to adopt a free or paid one. The goal of a load test is to mimic real-world user conditions as much as possible for best insights. Assess if you can achieve this through a free tool. If not, a paid one may be an option to consider in order to effectively gather the data needed to improve your site’s performance. The more a load test can copy real-world user behavior the better the results for your website. Load testing is an important strategy in making your website more user friendly and efficient. The data gathered from testing in different scenarios provides different insights that help point you to improvements that need to be made. There are varied load testing tools to suit various needs and contexts. Planning your load test and understanding what metrics to look for are key in deriving high value results. A test that is well executed carries significant and material impact on your website and business.